From the moment that they conquered the Promised Land and settled there, God’s chosen people battled with or were subjugated by other nations. For 500 years, the Israelites waged war with their neighbors: the Moabites, the Canaanites, the Midianites, the Philistines, and others. In 722 B.C., the Assyrians conquered the northern kingdom of Israel. 136 years later, the Babylonians conquered the southern kingdom of Judah, destroyed the Temple, and took many Israelites captive. The Jewish people eventually were allowed to return home and rebuild the Temple, but the Greeks and then the Romans conquered Israel and subjugated the people. As they had done for over 1,200 years, God’s people cried out for someone who would save them from their oppressors. Then Jesus arrived on the scene. Could he be the one? He was chosen by God. He performed miracles. He spoke with authority about a new kingdom. He attracted huge crowds. As Jesus approached Jerusalem, thousands of people lined the streets. The noise grew to a deafening level. People threw palm branches and their cloaks on the road, as if they were lining it for a king. Jesus was the promised savior! Hosanna! the people shouted over and over. Save us! Five days later, Jesus was dead, hanging on a cross. He was not the hoped-for Messiah. But he was. The people wanted salvation from their political oppressors. What God promised, and what Jesus delivered, was salvation from a bigger enemy. The Enemy. Jesus brought that salvation – and brings it to us today – by dying on a cross and rising to life on the third day…Easter Sunday. There’s even better news. Jesus provides you with more than salvation. In John 10:10, he reveals this: “I came that they may have life and have it abundantly.” Not just forgiveness of your sins. Not just salvation and an ongoing relationship with a loving God. Not just eternal life in heaven after you die. Abundant life. Right now. 1. Jesus gives us hope. The film Unbroken tells the story of Louis Zamperini, the Olympic distance runner who survived on a life raft for 47 days and endured a harsh imprisonment. But Zamperini’s struggles continued even after World War II ended. In May 1943, after their plane crashed in the Pacific, Zamperini and two other United States soldiers survived in a life raft. One died after 33 days. Fourteen days later, Zamperini and the other soldier, clinging to life, were captured by the Japanese. Zamperini was shuttled from one prison to another and, for a time, was in the brutal hands of Mutsuhiro Watanabe, later classified as a war criminal, who subjected Zamperini and others to relentless physical and emotional torment. Zamperini was liberated at war’s end, but his battles were not over. Recurring nightmares of war and memories of torture tormented him. Angry and bitter, he turned to alcohol. Considering divorce, his wife, Cynthia, attended a multi-week Billy Graham rally in Los Angeles, where she accepted Jesus as her Lord and Savior. Returning home, she begged Louis to attend the rally. He finally agreed, but he got angry at Graham’s words and stormed out. A few days later, he returned. When Graham gave the invitation, Louis recalled that, in the life raft, he had promised God, “If you will save me, I will serve you forever.” He finally made good on his promise. He became a Christian. His nightmares ended. He gave up alcohol and opened Victory Boys Camp to help troubled boys, many of whom were renewed and reformed, enabling them to live productive lives. Zamperini’s abundant life began when he found hope in the steadfast love of Jesus. 2. Jesus fights for us. Unless you are serving in the military, you probably will not be going to war anytime soon, right? Wrong. You already are at war. You’re fighting a battle against your enemies every day. And just as God was with the Israelites, God goes with you to fight for you against your enemies. In chapter 10 of the Book of Daniel, Daniel has a troubling vision. It’s so troubling that Daniel prays to God for understanding and begins to mourn, refusing to anoint himself, eat meat or other choice food, or drink wine. Three weeks later, an angel finally appears and explains the vision. What took so long? The angel explains that God dispatched him as soon as Daniel prayed, but the angel was ambushed by a “prince of the kingdom of Persia” (v. 13). That prince, or demon, was so strong and the battle was so fierce that after three weeks the angel and the demon were still deadlocked. The archangel Michael had to join the fray and battle the demon so that the angel could go and meet with Daniel. When we pray, Jesus hears us, and God responds, often immediately. But our requests are coming from the frontlines of a fierce war that has been raging since the dawn of time, and our enemies are doing everything they can to prevent God’s response from getting through. God and his angel armies are with us and fighting for us against our enemies. 3. Jesus stores up goodness for us. When describing God’s goodness in Psalm 31, David uses an interesting phrase. He says that God stores up goodness for those who fear him. Why does God store up goodness for us? Storing up something is a good practice when that item is not always readily available. When Joseph recognized that seven years of plenty in Egypt would be followed by seven years of famine, he recommended that Egypt store up one-fifth of the food produced during the years of plenty as a reserve for the seven years of famine. Because Pharaoh heeded Joseph’s advice, there was food for everyone in Egypt and surrounding lands, including Joseph’s family, during the horrible famine. There is never a famine for God’s goodness, though. God has abundant goodness all the time, enough for everyone. So why does God store it up for those who fear him? God does this for our own good. 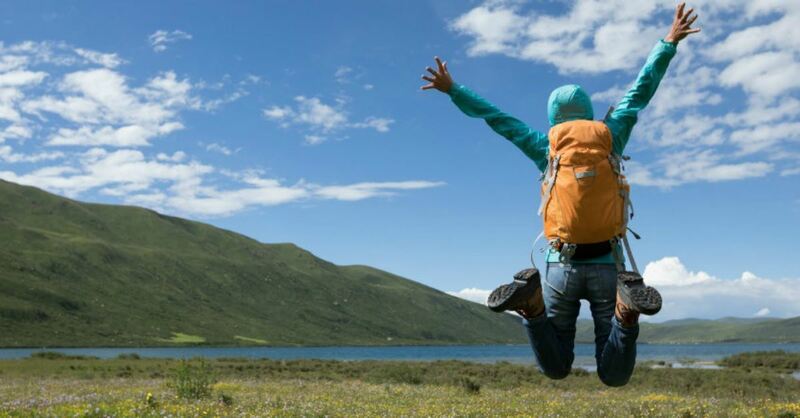 If we were showered with blessings all the time, then we probably wouldn’t recognize the goodness of God, and we might even feel entitled to all those blessings and more. So God does something similar to what Pharaoh did. Rather than overloading us with blessings during times of plenty, God sets some aside for us. Then during times of famine, when we go to God and ask him for help, he responds by giving us blessings from our storehouse. 4. Jesus lifts us up during the worst times of our lives. Things were going well for the Spafford family. Horatio, a prosperous Chicago lawyer, was making shrewd investments in properties along Lake Michigan. He and his wife, Anna, were blessed with four daughters and a son, and living comfortably in the Lakeview neighborhood on the city’s north side. Then a series of tragedies struck. First, the Spaffords’ four-year-old son died of scarlet fever. A short time later, the great Chicago fire of 1871 caused extensive damage to the properties that the Spaffords owned. The economic downturn of 1873 dealt a further blow to Horatio’s business interests. In late 1873, needing a break, the family decided to travel to Europe. Needing to stay in Chicago to resolve some fire-related zoning problems, Horatio sent Anna and the girls ahead on the S.S. Ville du Havre. On November 22, the ship was struck by an English vessel in the Atlantic and sank quickly. How was Horatio Spafford able to deal with tragedies of this magnitude? He cast his cares, as overwhelming as they were, on Jesus, and the Lord sustained him. 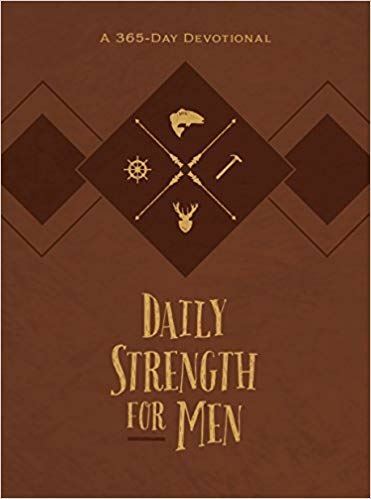 This article features excerpts from Daily Strength for Men, a 365-day daily devotional written by Chris Bolinger, published by BroadStreet Publishing, and available at Amazon, Barnes & Noble, Christian Book Distributors, DailyStrengthForMen.com, and other retailers.